Old-school thrash fanatics still have plenty to mosh to these days. Between consistently stellar work from the old guard (Megadeth, Overkill, Testament, Death Angel, Flotsam and Jetsam, etc. ), to promising offerings from newcomers such as Power Trip, the old Exodus enticement for “good friendly violent fun” rings as true as ever. That’s just covering the scene here in America. Let’s not begin to leave great European trailblazers out of the equation. Case in point: Danish power/thrash stalwarts Artillery. Many lifelong thrashers will be familiar with the band’s name if only due to their longevity — they formed in Copenhagen way back in 1982. Despite a rollercoaster career rife with setbacks and numerous lineup changes, the core Artillery battery of guitarist brothers Stützer (Michael and Morgan) have persevered brilliantly. Their latest barrage, The Face of Fear, offers a refreshingly refined and melodic take on the classic speed/thrash formula. 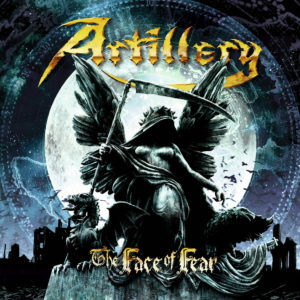 Now, Artillery have always employed catchy riffs amid their raw and rather bellicose thrash attack; this is epitomized here by their re-recording of 1985’s irresistibly galloping, “Mind of No Return.” But Artillery circa 2019 — featuring vocalist Michael Bastholm Dahl, bassist Peter Thorslund, drummer Josua Madsen, and the brothers Stützer manning the guitars — have amplified the dose of melodicism by several Howitzer rounds. 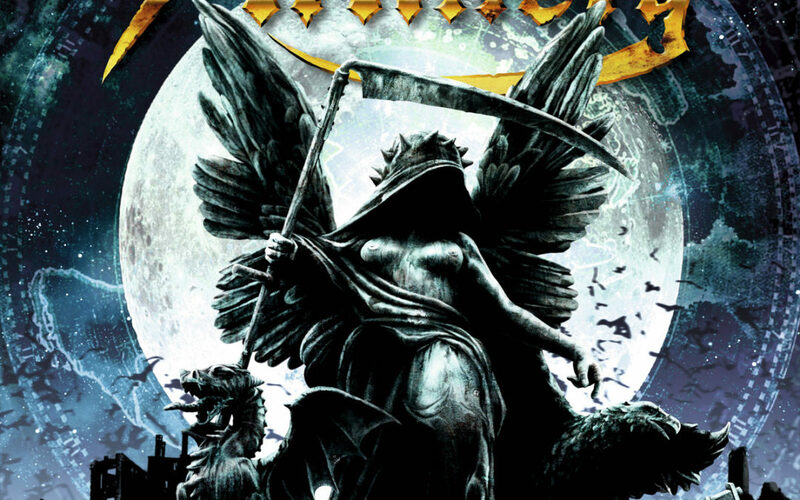 While old-fashioned, blistering speed metal still holds sway on The Face of Fear (the title track, “Sworn Utopia,” “Preaching to the Converted,”) a plethora of tempos, moods, and melodies create a balanced listening experience. Additionally, the clean, powerful tenor voice and melodies of Bastholm Dahl contributes to a stunning blend of power metal and thrash. No, this may not be the exact 1980s battery of Artillery that wiped out the trenches and barbed-wire entanglements of hair-metal posers. But this more refined brand of pure Danish power/thrash is satisfying indeed.